The Convention Center at Simpson Bay Resort & Marina Billy Folly Road #37, Simpson Bay, Sint Maarten. 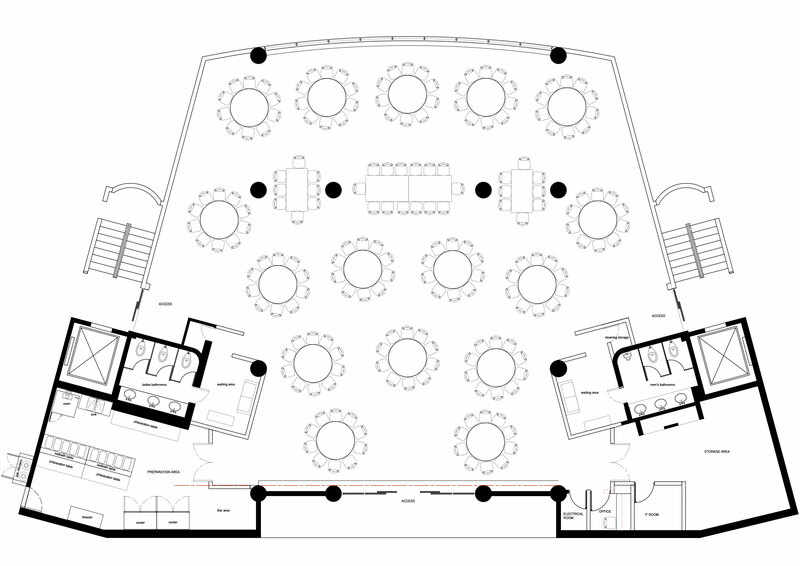 This floor plan shows the different areas of the Conference Room - Ballroom at Simpson Bay Resort an Marina such as the main area, waiting area, bathrooms, bar, light and sound control area. When you need to do business in St. Maarten there are many elements to consider before selecting a location and this is because your meeting venue is just as important to your business as your logo, slogan, website and everything else that makes up your corporate brand. Our conference room is the perfect location to sign that important contract, to discuss your company's plans or to have your board meeting. Additionally, due to our short distance from St. Maarten International Airport you can meet your clients or business associates arriving in St. Maarten in order to give them a personalized experience and wether you've been in business for many years or are just starting up, our premises and professional staff will give you an executive image. We know that success is much easier to achieve when you have the right environment, that is why we also offer a selection of audio-visual equipment as well as catering options that can be provide upon request.